Urban Sketchers Midwest: St Louis Sketching Event! Sorry I didn't get this up sooner, all...I've been out of town and both swamped exhausted since I got back. 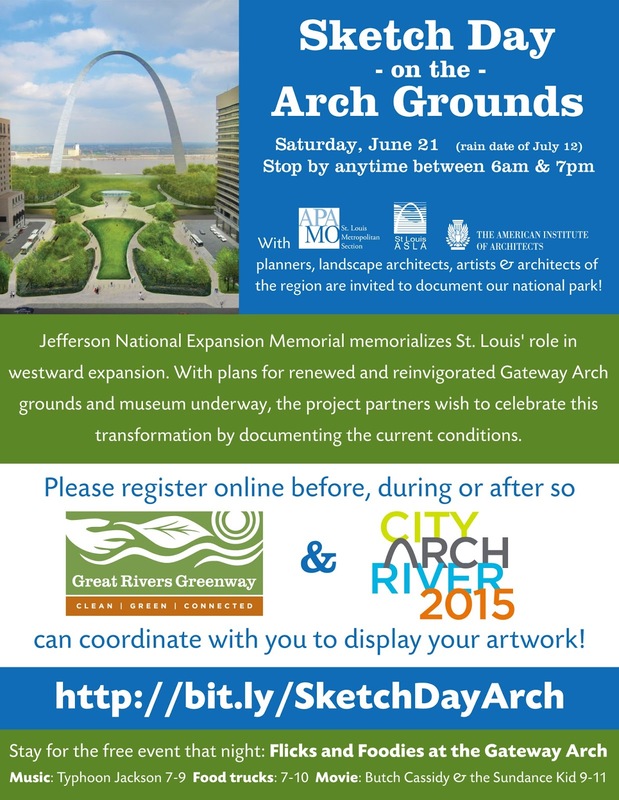 If you've ever wanted to meet up to sketch on the grounds of the St. Louis Arch, here's your chance! Stop by anytime between 6am & 7pm and draw like crazy! organizers can coordinate with you to display your artwork! transformation by documenting the current conditions. the region are invited to document our national park! So who got to go?? Let's see your sketches! I had Cardinals tickets that day, but was sorry to have missed it. Thanks for posting this Kate! I'm with you--let's see those sketches!